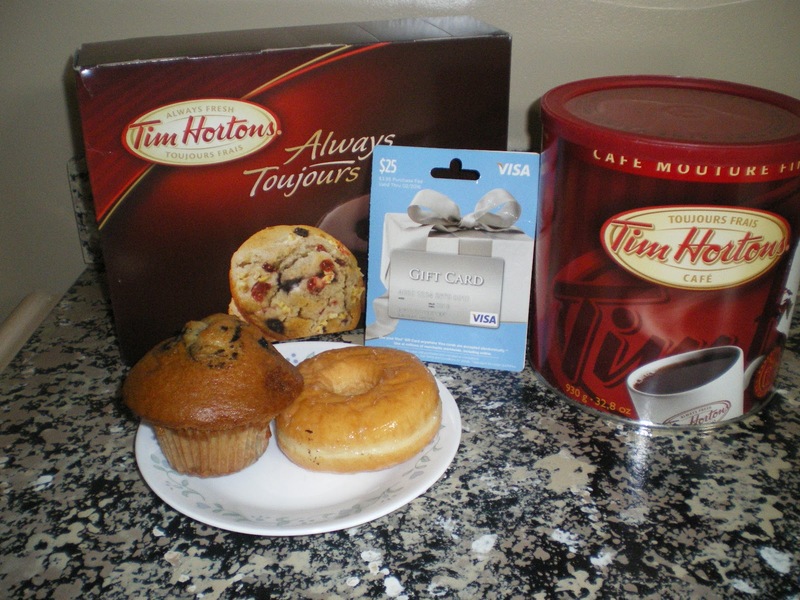 You may have heard, Canadians can now use their Visa credit and prepaid cards at Tim Hortons! Whether you’re heading to work, enjoying a break or on your way to the cottage, many Canadians usually make a stop for a Tim Hortons coffee. That’s why this relationship is so special. It brings together Canada’s largest payment brand with the most popular and largest quick service restaurant chain in the country. In celebration of this exciting announcement, Visa is offering a chance to win a dream cottage getaway. From June 28 to August 15, 2012, Visa cardholders will be automatically entered into a draw for a summer cottage experience, simply by using their Visa to pay for purchases at Tim Horton's. I used my own Visa pre paid card towards great tasting treats and coffee from Tim Horton's (Timmy's). Although I am not a coffee drinker, they have cold drinks available as well and always a great selection of tempting bake stuff and healthy meal choices.Gerry, on the other hand loves their coffee. When does Tim Horton's NOT have a line up both inside or out?? Goes to show how much everyone loves them. 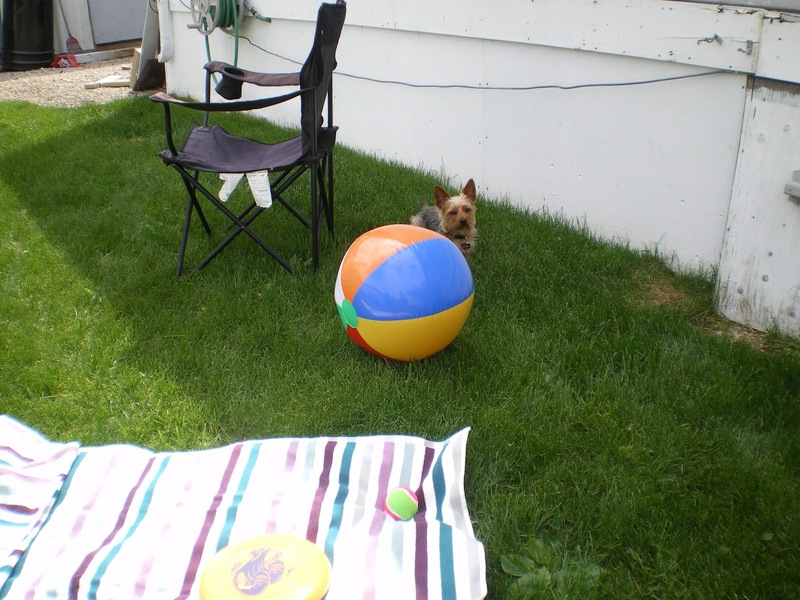 On another note, our new dog Jake is enjoying summer as well. Loves being outdoors playing, as long as things don't get too hot, and the bugs don't get too bad! Hope everyone is enjoying the start of summer! It's gonna be a hot one! 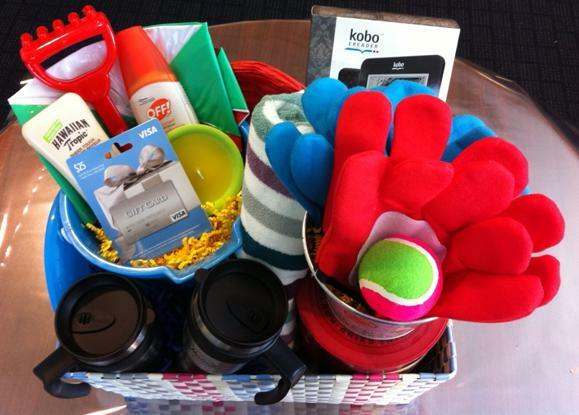 I received a great Summer gift basket courtesy of Visa Canada to help me and my family enjoy summer! Visa would love to offer one of The One Income Dollar's readers a chance to win their own prepaid $50 Visa gift card, to spend on as you wish- whether it's for visits to Tim Horton's or your own fun in the sun time out with the family.A random draw will be made by Random.org on July 20, 2012 from all Canadian entries received. I would use the Visa to buy a picnic lunch for my family and then head to a park for the day. I would love to get some new shoes with the Visa gift card. I would use it to go to the zoo with my son! I would probably buy a few groceries including Tim Hortons coffee. Their canned toffee capuccino is excellent. I added you to my Google + circle. I joined you on google friends. I would save it to give to one of my kids this Christmas! There are a few items on Etsy I would like to purchase (like a necklace) if I won! I will definitely be buying some teas and banana nut muffins at tim hortons if I win , and Ill buy my boys something special as well. My email address is rararomp at gmail dot com. I would use the prepaid Visa towards a wedding gift for my friend. You're in my Google+ circles - I'm Rae Tully on G+. GFC follower Rae T. (Auqakuh). I added you to my Google Circles. I joined you with Google Friends. I would buy a pair of summer shoes. I would use it to treat my daughter and myself to a nice night out. Thanks. I'd use my Visa GC to buy my girls some treats! I would put it towards a day trip with my boys! I would spend the visa on gas!